The cultural diversity in Bali and the tolerance between religious life is very high, as seen in the Mandala Nusa Dua Puja, 5 sacred places are side by side in one complex, very visible harmony and diversity are maintained very well. Although the island of Bali is dominated by Hindus, you can easily find places of worship from other religious followers. One of them is the temple of a place of worship for Buddhists, if you visit the North Bali region or Buleleng Regency there is the largest temple in Bali named Brahmavihara – Arama. This temple was built in 1969, was completed in 1970, then in the next 3 years was inaugurated as a Buddhist monastery. Now it is the largest Buddhist temple in Bali. If you plan take trip to north of Bali with hire Bali driver from Bali Cab, our driver is be ready to take you for long way drive to norther part of Bali. 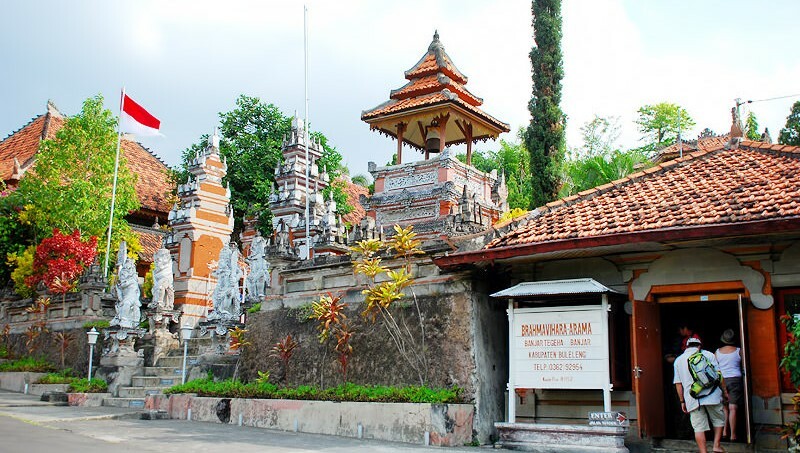 Brahmavihara – Arama, built by Bante Girri Rakhito Mahatera, located in the village of Banjar Tegeha, Distric of Banjar, Buleleng Regency, so that it is also known as the Banjar Buddhist Temple as located in Banjar area. For tourists, this place turned out to be quite interesting, not only as a place of worship of the people but became one of the attractions in the Buleleng, as this place also use for meditation to find the serenity. 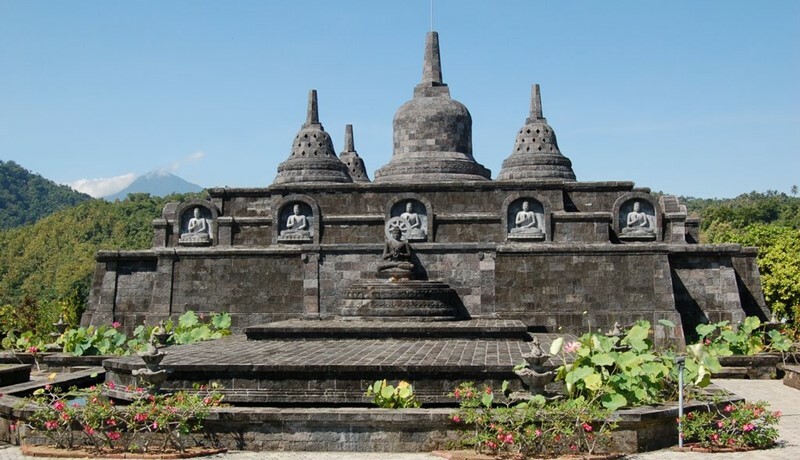 Moreover, the place is only 11 km from Lovina tourist attraction which is a recreational place watching dolphin attractions in the wild, and also adjacent to the Banjar hot spring bathing attraction, so if you are scheduled to tour North Bali, then it would be a pity if did not visit this Biggest Buddhist Temple in Bali. The location of the temple is on a hillside plateau, its location is comfortable, quiet and calm and the scenery around it is beautiful, from a distance you can see the natural scenery of the sea coast of Lovina. Not surprisingly, this place was chosen as a holy place to get peace, and ideal for meditation activities. The architecture of the temple building also does not leave behind Balinese architectural characteristics, in this area Borubudur mini temple is also built, so that it appears more beautiful and attractive, making tourists become curious and want to know more closely, especially for those who like spiritual tourism especially for meditation and find calm then Brahmavihara – Arama, can be a the right place to visit. After areal expansion, Brahmavihara – Arama now covers an area of ​​around 4 hectares managed by the Girirakkhito Mahathera Foundation. As embedded with this monastery name consists of 3 words, namely; Brahma, Vihara and Arama, the word Brahma means noble, noble, praiseworthy and great, the word vihara means the way of life while arama means place. 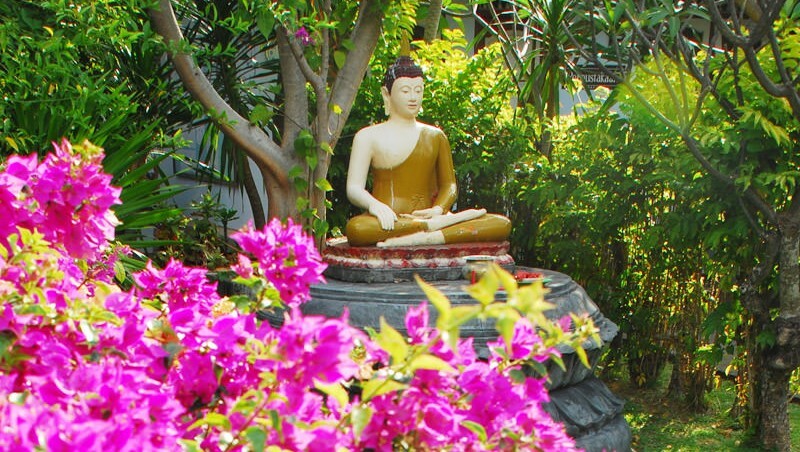 So the meaning of Brahmavihara – Arama is a place to train yourself and forge noble and noble behavior. This temple is one of the meditation centers in Bali. Basicly Brahmavihara – Arama is divided into 5 complexes, the first is the Gara Uposatha in the western complex, which is a quiet and comfortable part, there is a sculpture carved by the Buddha until it reaches nirvana, this place serves as a blessing for prospective monks. Both parts of the East side have a study room called Dharmasala, where monks conduct devotionals and spiritual activities. The third complex is a Stupa, located in the North West, a large bell stands here inside the stupa, there are objects that are said to belong to the Buddha. 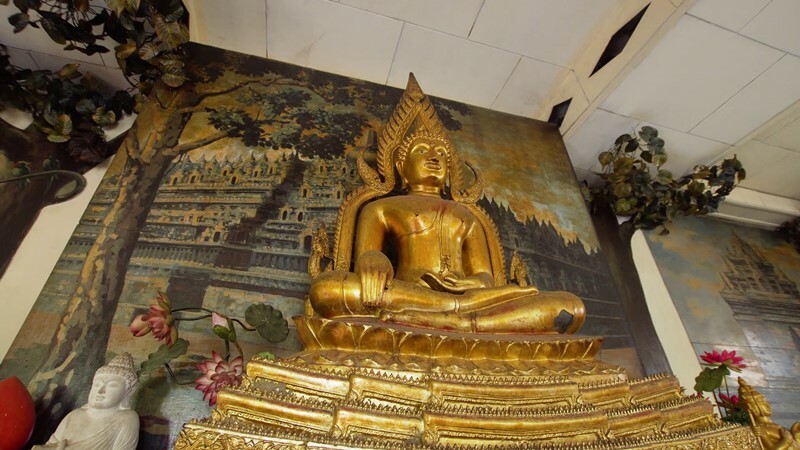 In the direction of the Southwest corner there is a Bodhi Tree which is a symbol of the Buddha’s victory, in this place visitors can do meditation. And the last building complex is Kuti, as a place to live, training monks in studying. In general, Brahmavihara – Arama in the Buleleng Regency of Bali has the following functions; as a place of prayer for Buddhists, the abode of monks, a place of meditation, exploring and developing spirituality and social facilities. From the Bali airport to Brahmavihara – Arama about 96 km or about 2,5-3 hours drive. If you are a tourist who wants to visit North Bali, especially to the biggest temple in Bali, our Bali Cab driver is ready to provide cab transportation, either by rental Bali Car to get there.